Wood burning fireplace inserts are the ideal choice in heating for those who cannot fathom living without the crackle of the flames and the beautiful atmosphere that wood burning fireplaces afford. Most feel that this is the charm of traditional fireplaces. There’s the smell of familiarity that you cannot get from any other type of home heating mechanism. Recreating this feeling is nearly impossibly unless you are committed to the chopping, hauling and stacking of wood that comes with the tradition. Many families in Long Island and all over do not have the bandwidth in their schedules to complete all these tasks before even getting to light a single fire. If you are strapped for time, they are a vast improvement over a built-in. Wood burning fireplace inserts are the best alternative when it comes to keeping your home warm, and maintaining tradition while simply having convenient options. The natural flames and the wonderful woodsy aroma are what you dream of when deciding that your want a fireplace. Why forgo that dream? 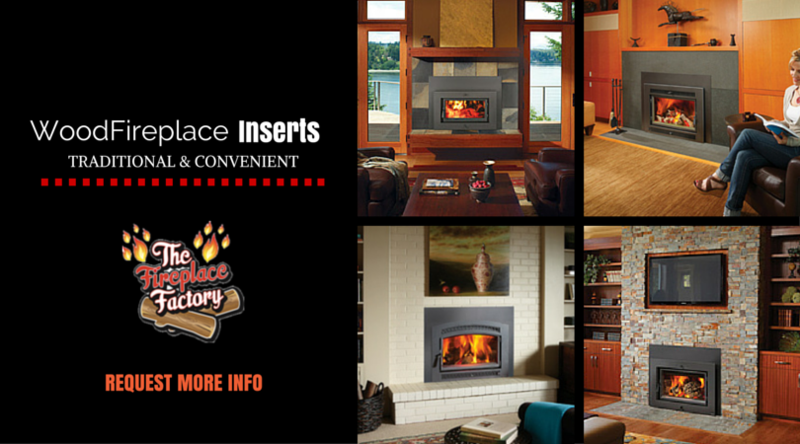 You really CAN have it all with wood burning fireplace inserts. You still get the ambience of the wood burning fireplace along with the efficiency that comes with these innovative units. You don’t have to heat your home in less than stellar fashion. Whether you want to update your existing fireplace or add a new unit to increase the value of your home, you should consider this as an option. If you are in the Long Island area and want to benefit of the knowledge and true expertise of fireplace and home heating professionals, you’ll want to meet us here at The Fireplace Factory. We’re here to make your dreams come true. Your loved ones, and even guests to your home, will thank you for it.